In 1937 Maxwell Fraser wrote a guide jointly for the Great Western Railway and London Midland and Scottish Railway. 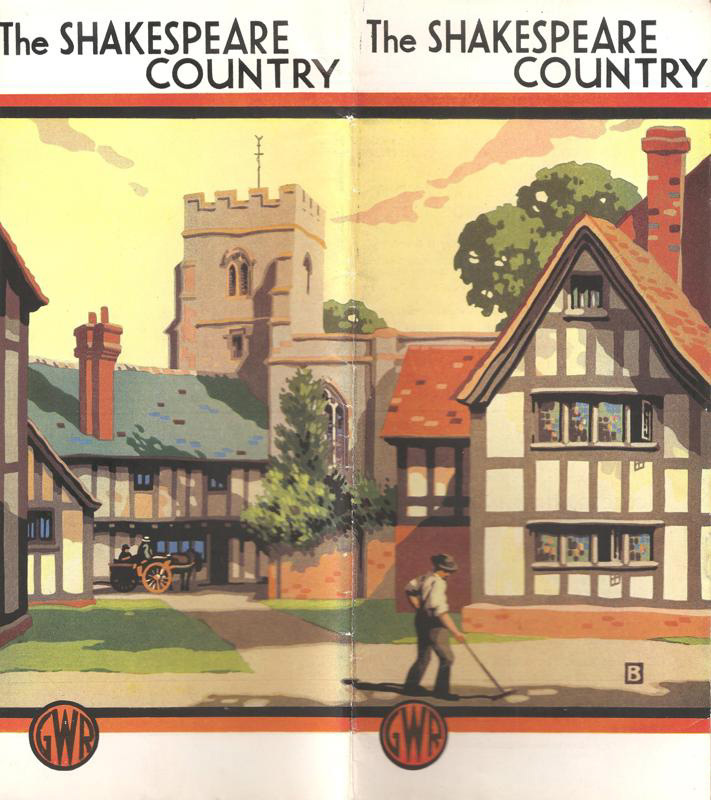 The English version, depicted here, was aimed at the American tourist market and described (with large black and white scenic photographs) the sights to see in Stratford on Avon and to a lesser extent; Warwick, Kenilworth, Guys Cliffe, Leamington Spa, Coventry and Rugby. Train times from London (Paddington and Euston) and prices inclusive of a 50 mile road tour by Midland Red Road Motor Coach were advertised. The First class day tour was 34 shillings and 9 pence. This tourist guide was also reproduced in both French and German versions.